Directions: West Wyoming To Florence St. 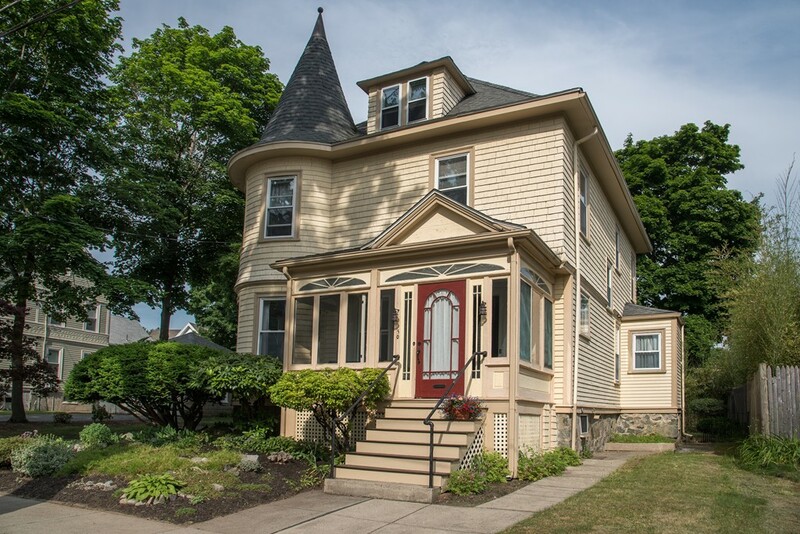 Beautifully maintained Queen Anne Victorian home in coveted Melrose neighborhood. A short distance from Oak Grove Station, the commuter rail, MBTA bus and local elementary school. Architectural gems like this do not come along often. Rich hardwood and pine flooring, soaring ceilings and original crown molding are accented by beautiful natural light from oversized windows. Generous living and dining room complete with pocket doors, built-in bookcase and fireplace. Tastefully updated eat-in kitchen with pantry flows nicely into cozy family room with easy access to the backyard. The second floor boasts four bedrooms, two walk-in closets and a full bath. Bring your imagination to the third floor! Create a private master suite with en suite bath, home office, music room or play room. The possibilities are endless! This home is truly one of a kind. floors are hardwood, some are pine.